This wah cries with versatility. This photo was posted by Custom Audio Electronics on their intagram account with caption: Brand new #johnmayer rig. 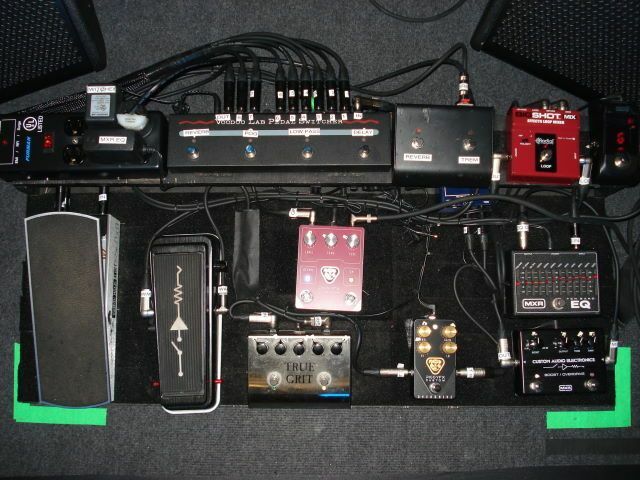 It is John's pedalboard, and in the right of the center pedalboard, next to the two tuners, there is a Dunlop MC404 CAE Wah. we can see it on his pedalboard in this photo from instagram. In this [artical](http://proguitarshop.com/andyscorner/the-guitar-gear-of-pearl-jam), Stone Gossard of [Pearl Jam](http://equipboard.com/band/pearl-jam), [Temple of the Dog](http://equipboard.com/band/temple-of-the-dog), [Gossman Project](http://equipboard.com/band/gossman-project), [Mother Love Bone](http://equipboard.com/band/mother-love-bone), has been seen rocking his MXR MC404 wah pedal. According to his "gear list", Robertson uses the MXR MC404 CAE Wah pedal. Scott Ian of Anthrax swears by the Dunlop MC404 Wah pedal, saying “it just sounds great. It's got a huge amount of throw. I feel like it really digs in when you step on that thing. You really dig in with it. And just the tone of it is great. And it's got a boost as well which kicks in which is nice for the solo. I just have that boost turned on. But it's all about the tone. It's just based on it, it just sounds great,” (15:26). 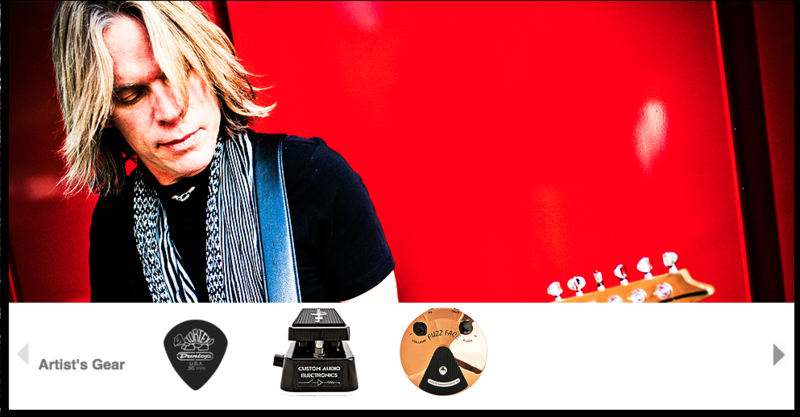 Van Leeuwen's gear includes a Dunlop MC404, according to [Dunlop's website](http://www.jimdunlop.com/artist/troy-van-leeuwen). First clearly visible at 5:46 in this interview on*That Pedal Show*. According to Strymon's pedalboard feature, Lukather uses the Custom Audio Electronics wah pedal. Seen on his pedalboard at 25:58, although Myles didn't talk about the pedal. At 12:22 in this Rig Rundown for Kim Thayil of [Sound Garden](http://equipboard.com/band/soundgarden), his gear is displayed, showing his Dunlop MC404 CAE Wah. In the tenth paragraph of this 2014 interview with Guitar Player Magazine, Eric says "I use Dunlop’s MC404 CAE Wah a lot." In this pedalboard photo posted by On on his Instagram account, one of the pedals on the board is the MXR CAE MC404 wah pedal. Displayed at 6:04 of this Rig Rundown for Larry "Ler" LaLonde of [Primus](http://equipboard.com/band/primus), is a Dunlop MC404 CAE Wah. (17:26 minute mark) > Custom Audio wah-wah. It's great, it's durable, it has the cool knob set. You can adjust how much chew and how much owe you want. "I also have a (EHX) Holy Grain Nano. That’s pretty much a one-trick pony for a spring reverb setting. I also have a CAE wah." A list of Tim's current rig setup is posted on this website. 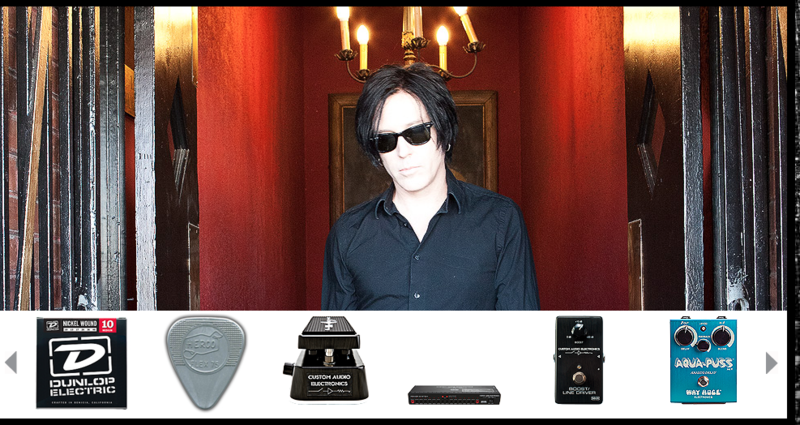 Andy uses a Dunlop MC404, according to [Dunlop's website](http://www.jimdunlop.com/artist/andy-timmons). "The signal chain starts with a Dunlop MC404 CAE Wah into an Ernie Ball 6166 volume pedal. Next is a Wampler Ego Compressor, a Boss GE-7 Equalizer customized by Analog Man, a Visual Sound V2 Truetone Clean Boost, a Xotic Effects RC Booster, a Xotic Effects BB Preamp, and a Creation Audio Labs MK 4.23 Clean Boost." At 1:35 in the video, Fluff mentions using that he uses a Custom Audio Electronics MC-404 Wah Pedal. "3er y ultimo Luna Park y ultimo recital del gran 2015"
Listed on Andy's official Dunlop artist page. > "After acquiring a decent starter electric guitar, naturally, my next purchase was a guitar pedal, and that came in the form of the Ibanez FZ7 Tone Lok Fuzz. From there, I got a wah pedal as a birthday present..." First visible in this video at 0:41. 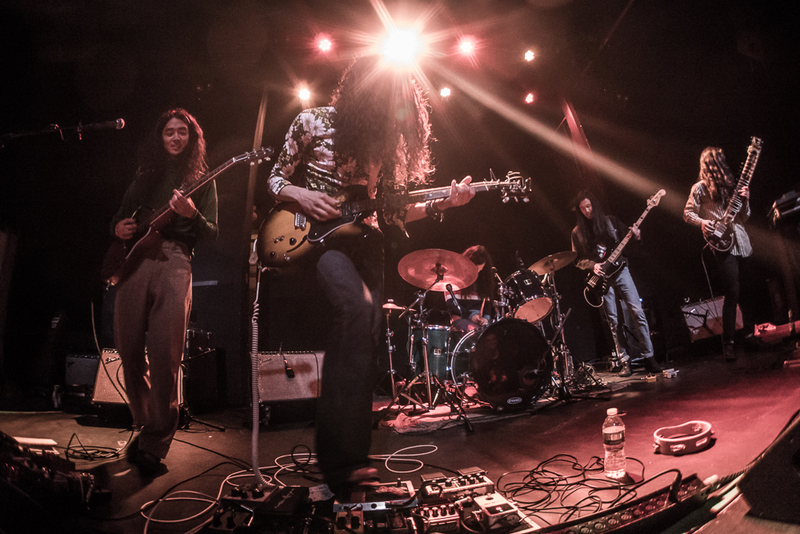 Bottom right wah pedal to the left of the Fuzz War. Glen lists this in his gear list. Bob Bradshaw of Custom Audio Electronics designed the MXR MC-404 CAE Dual Inductor Wah Pedal with the Cry Baby design team to create a highly versatile wah-wah with top-grade components. The MC404 CAE Wah features dual Fasel inductors with 2 distinct voices (high-end emphasis or low-to-mid resonance), and a built-in MXR MC-401 Boost/LineDriver that adds even more flexibility. Choose between inductors and turn the boost on or off with the side-mounted kickswitches. Bright LEDs on each side of the wah indicate operation status. The MC404 CAE Wah boasts true hardwire bypass, a long-life CTS potentiometer, and internal pots for the Q control-which varies the intensity of the wah effect-and gain adjustments. You get the high performance and quality that you expect from Dunlop, the world leader in wah-wah technology. Bob Bradshaw has been one of the world's foremost designers of custom guitar pedal boards and effects systems for many of rock's most influential guitarists for 3 decades. And for just as long, MXR and Cry Baby have been synonymous with the effects pedal innovations that have shaped the tone of modern electric guitar playing. So it was only natural for them all to join forces to create a dynamic line of pedals offering the ultimate in tone, functionality and road-worthy dependability. Since 1980, CAE's groundbreaking pedal designs were made in limited quantities only for a select clientele of world-class guitarists. But now these very same devices and circuits are available to all. 2 Wah in 1 + boost! Great Wah! With a side switch you can set 2 kind of wah, plus with another switch you can extend your gain with a boost controlled by another side knob. Love it 'cause i can choose the kind of tone of wah that i need! It sounds awesome! First, the original crybaby wah wah sound, so nasty/powerful and on the other hand that creamy/bluesy/fuzzy sound, making together two unique sounds. Borrowed one of these from my friend, now I need one. The built-in boost and available tone options with the two inductors makes this one of the best wahs I have tried. WAAH WAH WAAAAAH WAH WAH CHUKKA CHUKKA WAH WAH WAAAAAAAAAH!!!!!!! This wah takes your sound to a whole next level, Dunlop and Custom Audio Electronics have made the best wah ever, is just perfect; true bypass, 2 Fasel inductors, LED indicators (on/off, boost, yellow/red Fasel), you have under your feet a boutique pedal, 2 wahs in 1 for a great price, you can sound mean and "cuacky" by just pushing the right side button. By far is the best wah I played with. Highly recommended. I looked for a long time for an aggressive in your face full sounding Wah pedal. I must have bought 4 or 5 different pedals, all were missing something. I found the CAE and tweaked the Inside parameters to get it to sound how I wanted it to. Kenny Wayne Shepherd uses one and he talks about it on a you tube video about his rig. Good stuff.